You are here: Home » Blog » Why does Lola only sell refurbished computers and tablets? Why does Lola only sell refurbished computers and tablets? October 23, 2015 in Blog, Good to Know by Brittney | Comments Off on Why does Lola only sell refurbished computers and tablets? 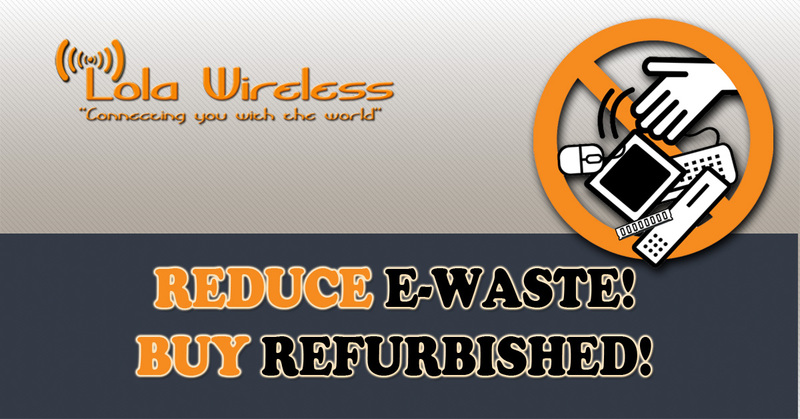 Reduces price when buying refurbished. In 2000 more than 4.6 million tons of e-waste ended up in landfills, according to the US EPA. Between 2003 and 2005 as much as 85 percent of disposed electronics went straight into the trash then to landfills or incinerators. Worldwide, as much as 50 million tons of old electronics are discarded annually. Some of you may be saying to yourself “So, what? All of my other waste goes to landfills.” The issue is not e-waste in landfills, but the hazardous chemicals released into our atmosphere when not recycled properly. Everyone likes to save money. It’s a clear-cut fact. But with saving money you also want the best value; why save money if you don’t get what you want or need at the end? You could spend thousands of dollars to have the latest and greatest laptop or desktop PC and all you are going to use it for is surf the web or check emails. You wasted your money, yes, it may be the best computer on the market, but how much do you really use it? When buying refurbished you save money and you get exactly what you need, nothing more, nothing less. Does it have “top of the line” features, no, it may not, but it gets the job done. In our store front and office we use refurbished computers for all of our business needs. We wouldn’t sell something we don’t or wouldn’t use ourselves. Lola Wireless will never sell you something you don’t need. We talk to you, individually, to find what you need and provide it to you. That simple! Posted in Blog, Good to Know.